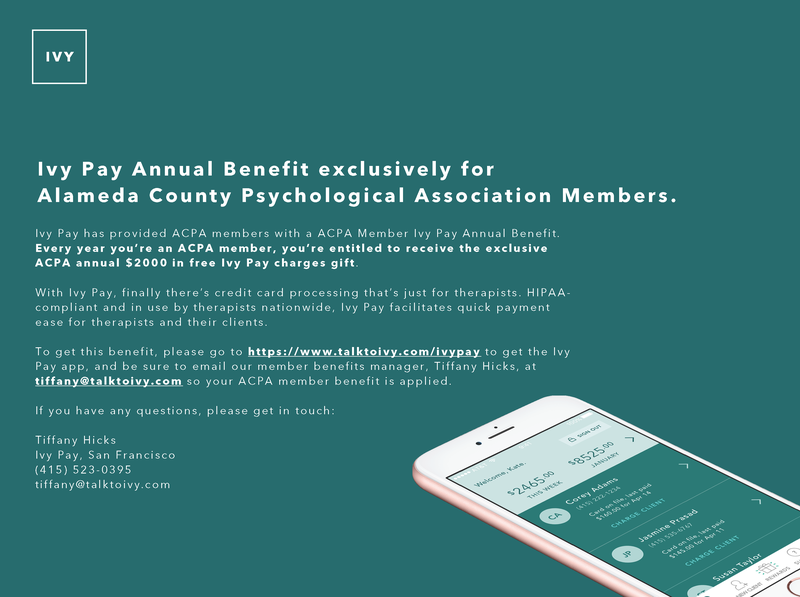 Exclusively for Alameda County Psychological Association Members. Ivy Pay has provided ACPA members with an ACPA Member Ivy Pay Annual Benefit. Every year you’re an ACPA member, you’re entitled to receive the exclusive ACPA annual $2000 in free Ivy Pay charges gift. With Ivy Pay, finally there’s credit card processing that’s just for therapists. HIPAA-compliant and in use by therapists nationwide, the Ivy Pay facilities quick payment ease for therapists and their clients.